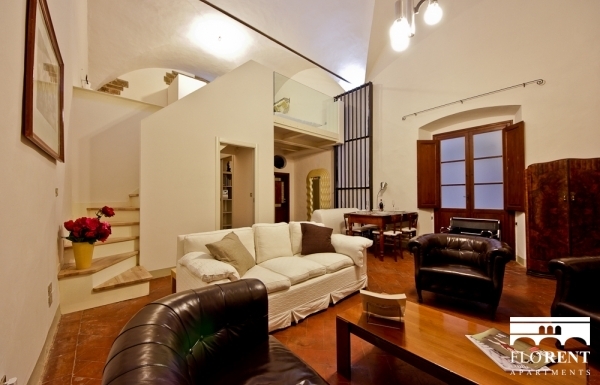 This tastefully decorated art design Loft is on two levels. 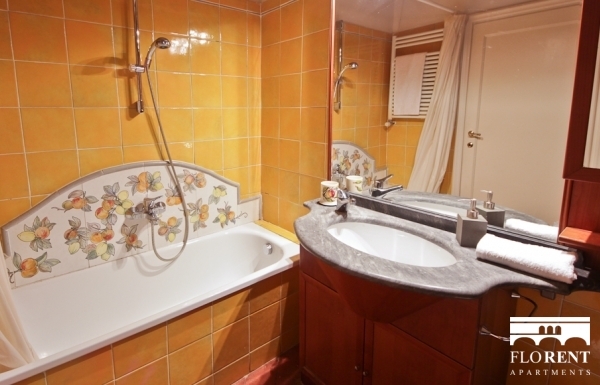 It is provided with Wi-Fi internet, television, washing machine, dish washer, and a fully-equipped kitchen, and two bathrooms. 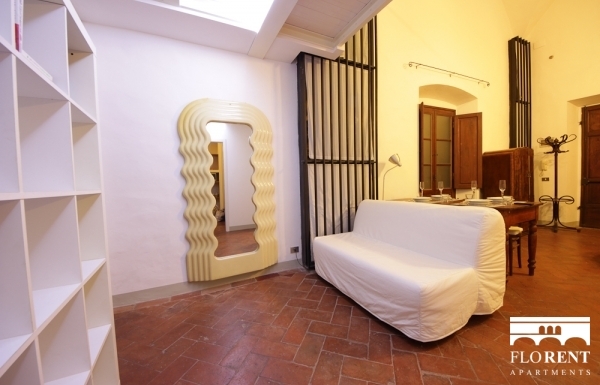 On the first level, the living room is furnished with a comfortable sofa (queen size bed), flat screen tv,dining area with a large table for 4 people. 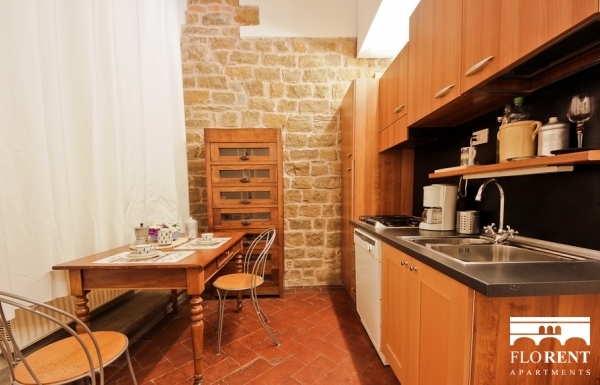 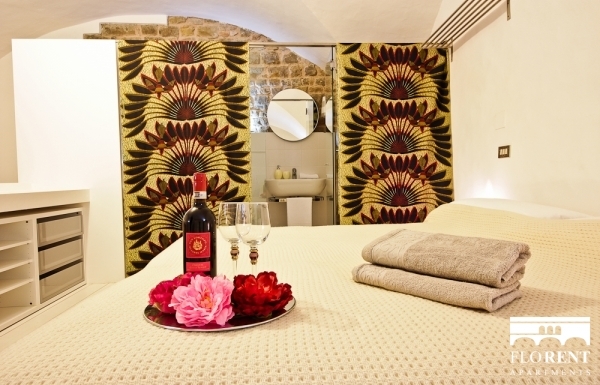 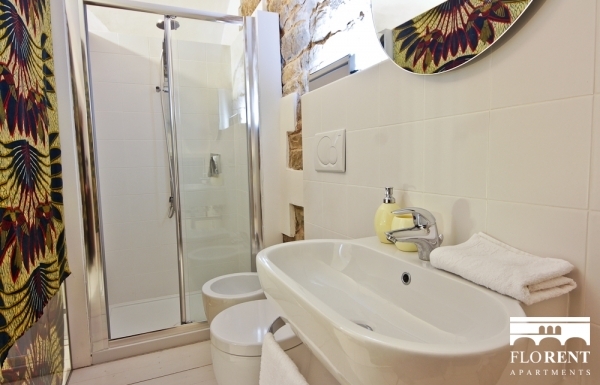 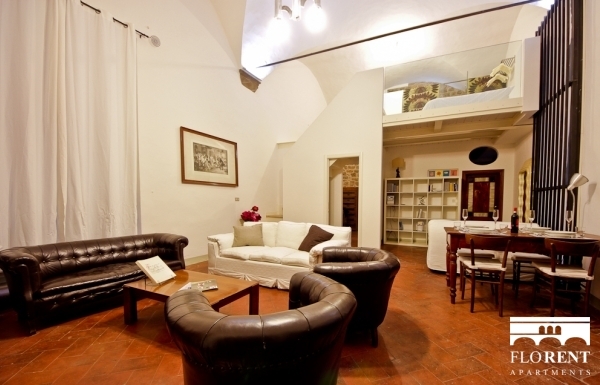 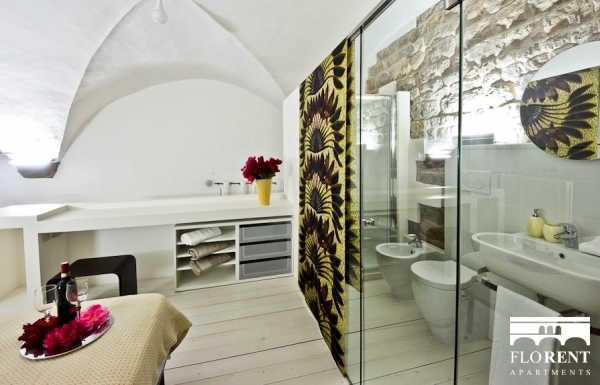 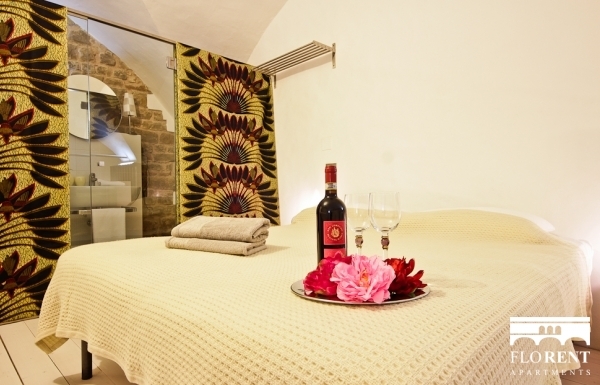 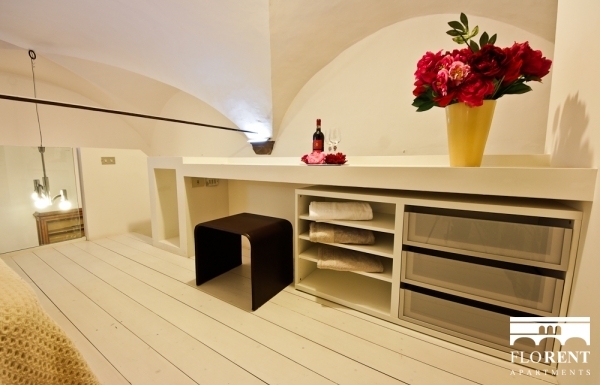 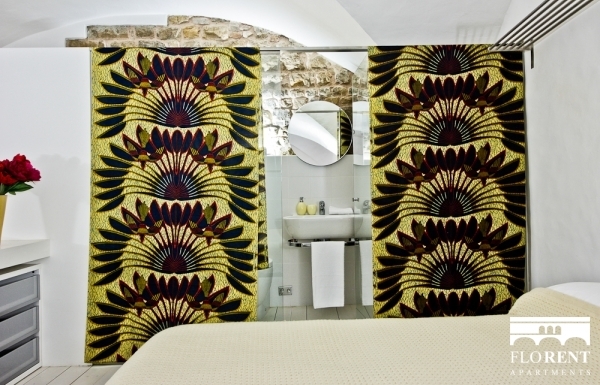 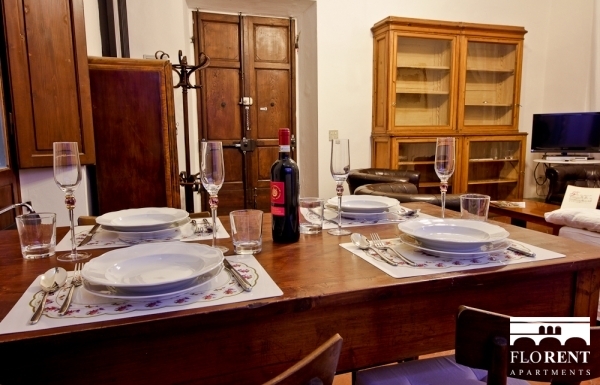 There is also a fully equipped kitchen and a comfortable bathroom with walls in old florentine stones. 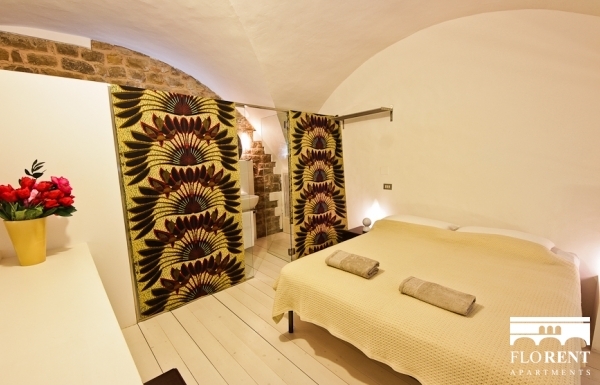 The mezzanine is entirely composed by a cozy bedroom fully furnished with bathroom. 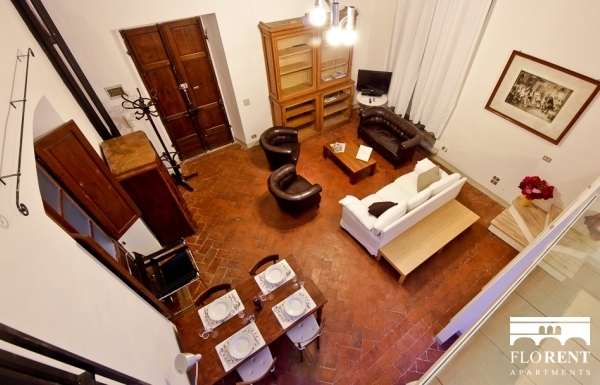 This beautiful open space is located in the old historic center of Florence, in Via della Vigna Vecchia, steps by Piazza Santa Croce, at the ground floor. 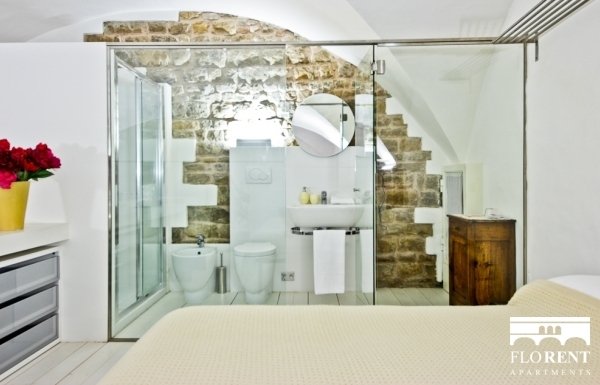 One side of the Loft gives on a historical court and the other side on a silent pedestrian street. 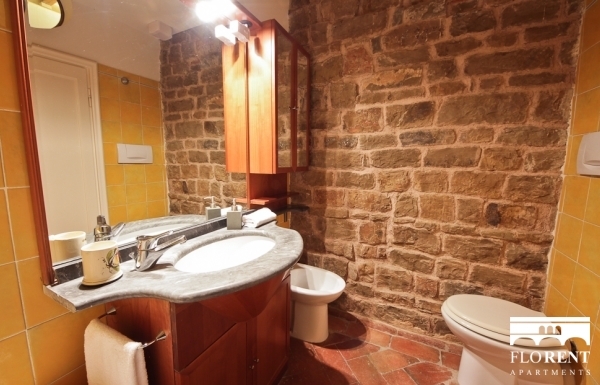 Absolutely no noise during the night/day. 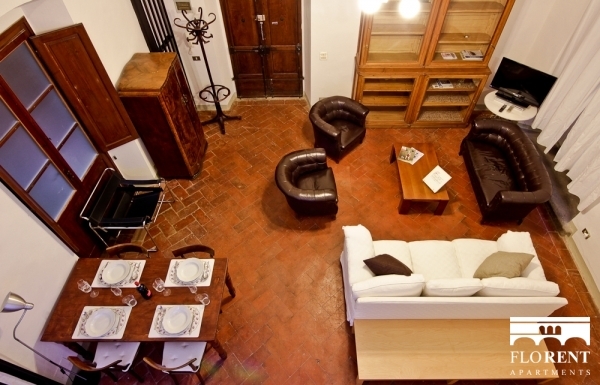 The strategic location is within a short 5-minute walk from the most important landmarks and attractions of Florence, including, Duomo cathedral, Ponte Vecchio bridge,Piazza Santa Croce, Piazza della Signoria, Uffizi Museum, Piazza della Repubblica, San Lorenzo market, Accademia gallery, and many more. 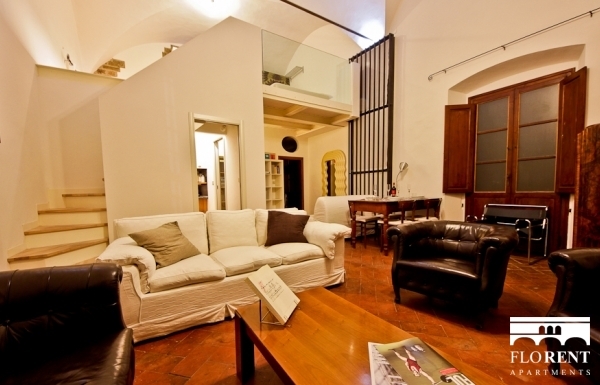 Florence train station is 15 minutes walk. 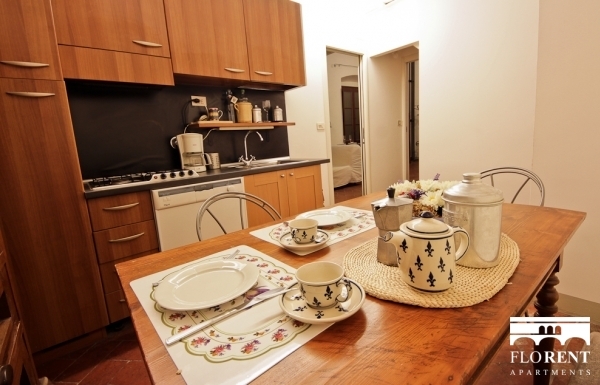 There is also a bus stop conveniently located few steps by the apartment .